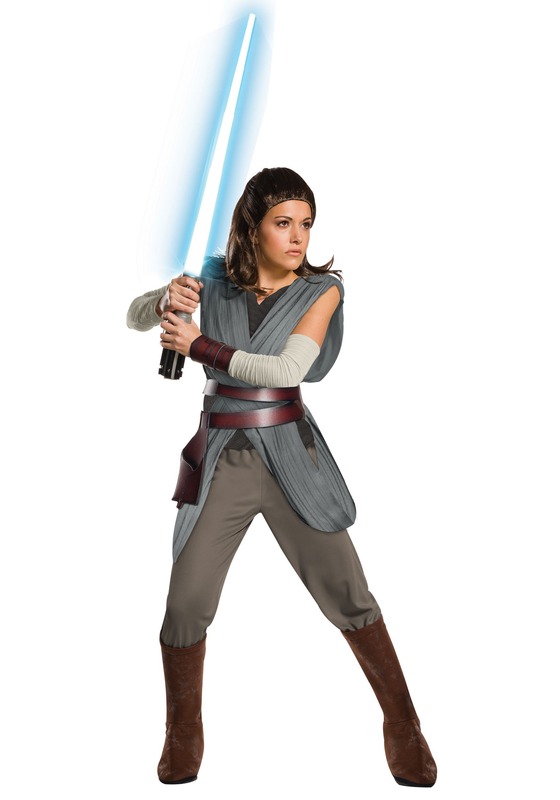 Thinking about becoming a Force-wielding hero, just like Rey? Well, we’ve put together a pros and cons list to help you decide if you’re up to the task of be a Star Wars hero! Pro: You get to wave a lightsaber around at bad guys. Con: Scary dudes like Kylo Ren chase after you. Pro: You get sweet Force powers that you can use to save your friends. Con: You’re not supposed to use the Force for selfish reasons (like using it to grab the TV remote from across the room without actually getting up). Pro: You get to hang with Chewbacca. Con: You have to deal with Chewbacca’s constant shedding since you’re hanging out with him all the time. Pro: You get to train with a true Jedi Master, like Luke Skywalker. Con: Most Jedi Masters are crazy hermits who live in the middle of nowhere (like Dagobah or Ahch-To). Pro: You get to wear fancy robes. Well, there you have it. The pros definitely outweigh the cons if you ask us! That means you’re going to need this deluxe adult Rey costume to begin your training in the ways of the Force. It’s inspired by the one worn by Daisy Ridley in Star Wars: The Last Jedi. It comes with a top that has attached wraps for a comfortable fit that also recreates the iconic style from the movie. The pants have attached boot covers for added convenience and the included accessories round out the look quite nicely.